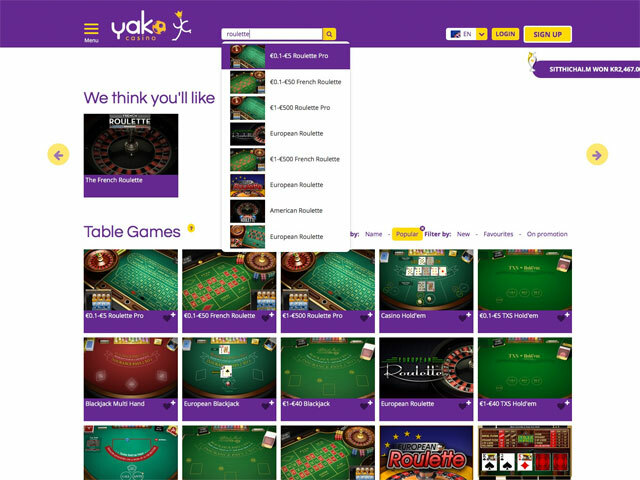 Offering over 400 games from industry leaders and dozens of live dealer tables, Yako Casino gives a pleasant impression of a user-friendly gambling destination that provides a feature-filled experience for mobile and desktop users. An easily reached support team, flexible banking options and a variety of alluring bonuses – everything is focused on a player’s comfort and safety while making bets or transferring money to or from an account. The casino adds a surprising twist to its gaming content by providing a range of Virtual Sports games. All the games can be shown on a single page and filtered, among other things, by the On Promotion filter to display the games that are included into current bonuses, promotions or other special events at the casino. The casino offers the best and most popular solutions by Microgaming, NetEnt, Play’n’ GO, Evolution Gaming, NYX, etc. A deposit amount is capped at $5000 per transaction, and the daily maximum limit for cashing out is the same. Registration is not required unless a player wants to play for real money. 10+ live roulette games by Evolution Gaming. Betting in roulette games contributes 1% towards wagering requirements for all bonuses at Yako Casino. On making a qualifying deposit ($20 or greater), new players can choose to claim the 100% welcome bonus up to $333 with the x25 WR (deposit + bonus). Players who lost over $50 in real money bets during a week are eligible to claim the weekly Monday Cashback bonus with a x10 WR. There are also casual bonuses that run for a limited time and may apply to roulette games.